In a company, school, or training program, an evaluation is necessary to determine either the employee, student’s, or program director’s worth, merit, and significance in their respective performances by using a set of criteria that are accepted as standard in any evaluation scheme. 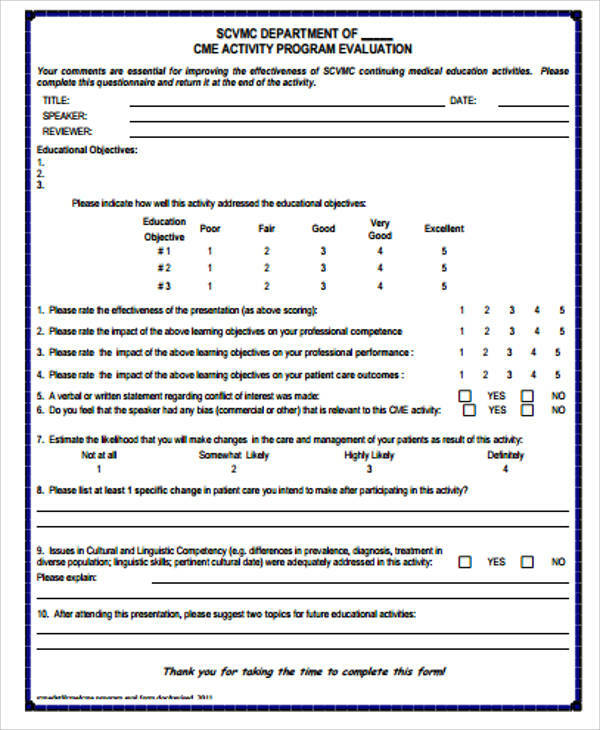 Our website’s Sample Forms for program evaluations have a couple of samples that users can refer to and use as guides when drafting their own evaluation forms. These are all free to download and edit or modify according to user specifications. 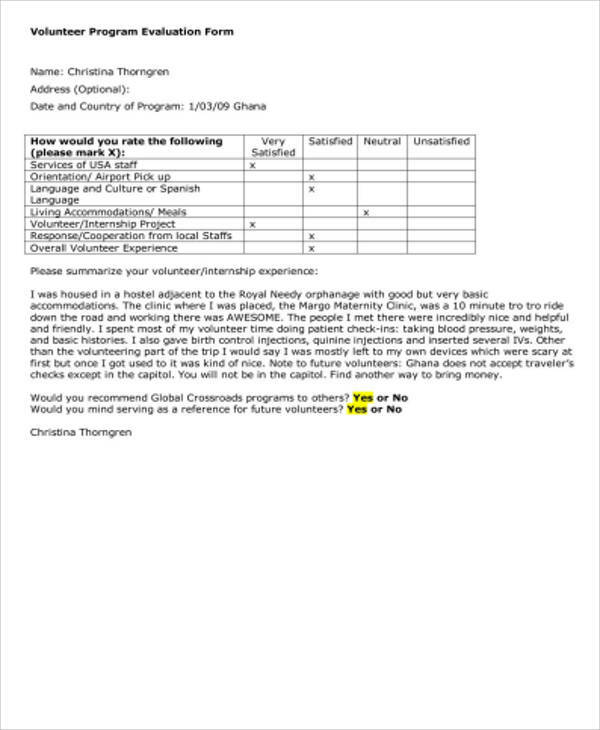 Evaluations are mostly used for characterization and appraisal of subjects in a wide range of programs that cover anything from organizations, government, companies, and academic institutions. 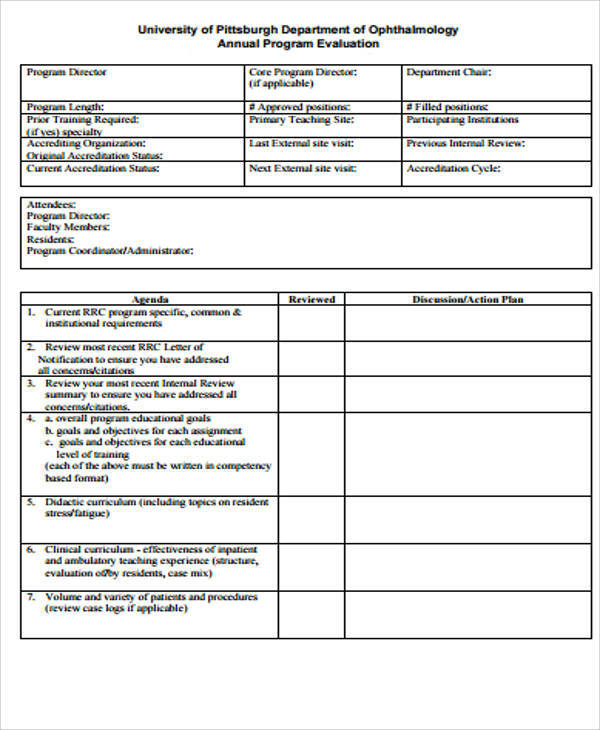 An evaluation may be used to predict actual impacts of proposals and results that are being initiated in a program to improve efficiency. 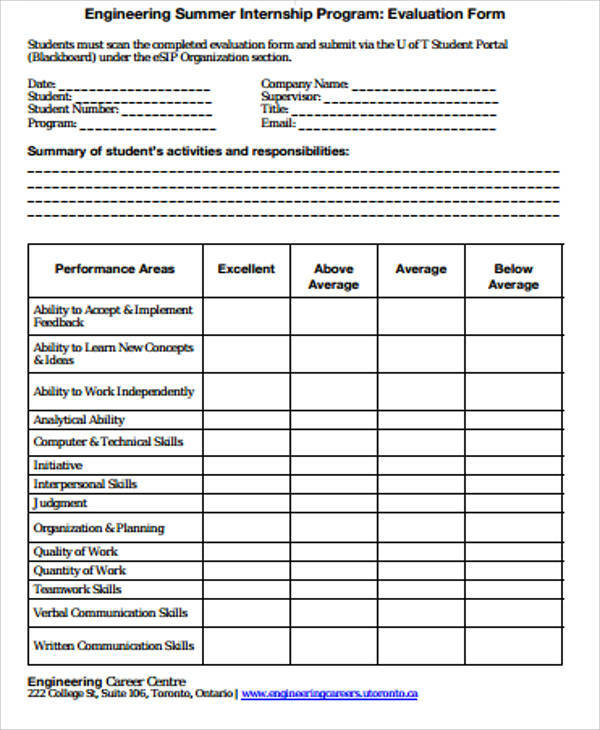 In the case of schools, evaluations are used to determine a student’s performance and productivity that will determine his or her academic direction. 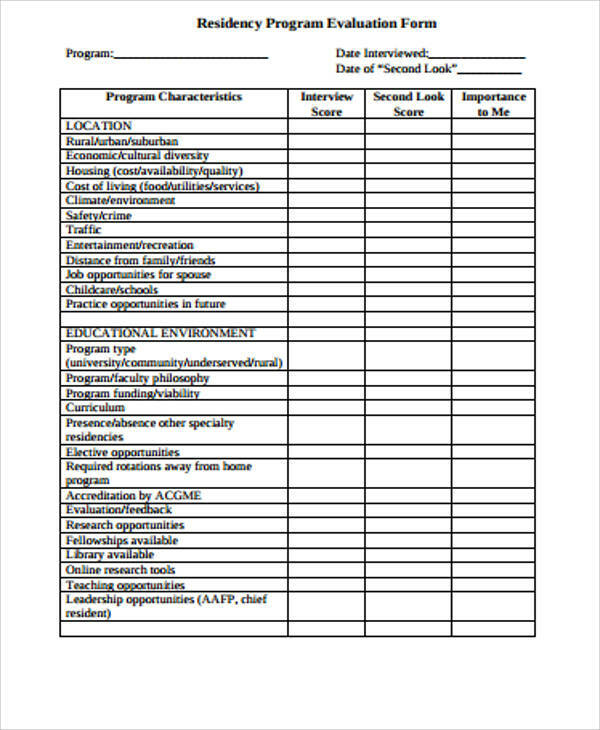 Goal Setting – The targeted performance and goal objectives that are better achieved if both individual goals and organizational goals are being matched together in collaborated appraisal results. Performance – When an evaluation becomes an effective method to relay performance that corresponds with organizational expectations. Communication is greatly improved when both management and employees have positive relationships with each other and help work out ways to improve based on the performance appraisal of each individual’s performance. Training Programs – For an organization to achieve its initiatives, evaluations need to have post-appraisal programs of training and development for areas considered weak points. Evaluations are a way of establishing needs for further training and development of individuals. 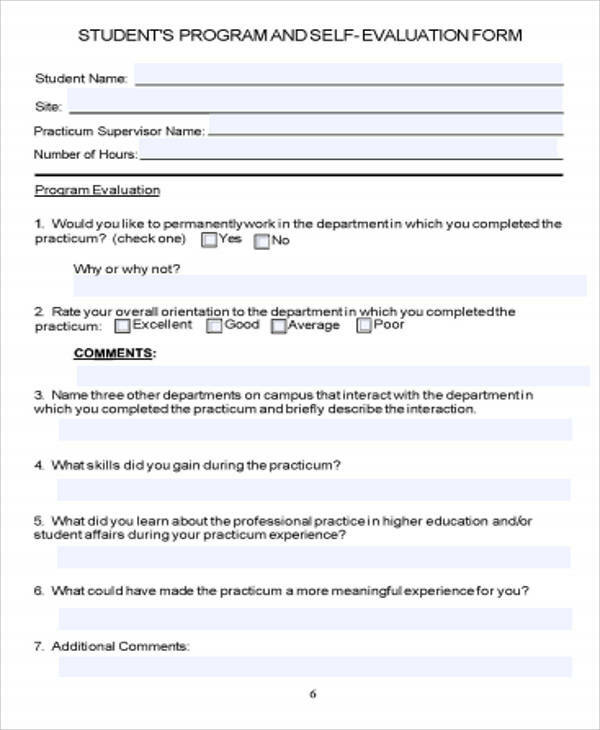 For more of our website’s evaluation samples, please check out our Interview Evaluation Forms that can be downloaded and modified based on user criteria and specifications. 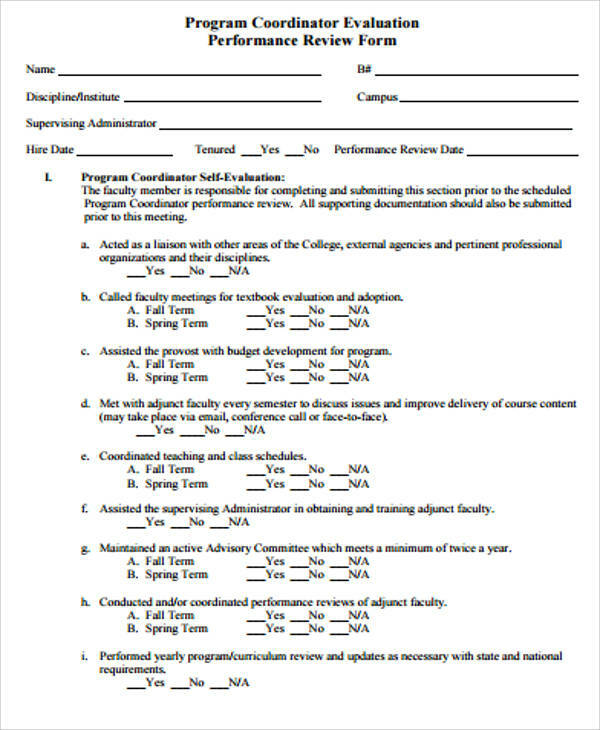 Based on what programs or projects are initiated, an evaluation will have several forms of criteria on performances and skills that will either determine productivity in companies or academic performance in academic institutions. 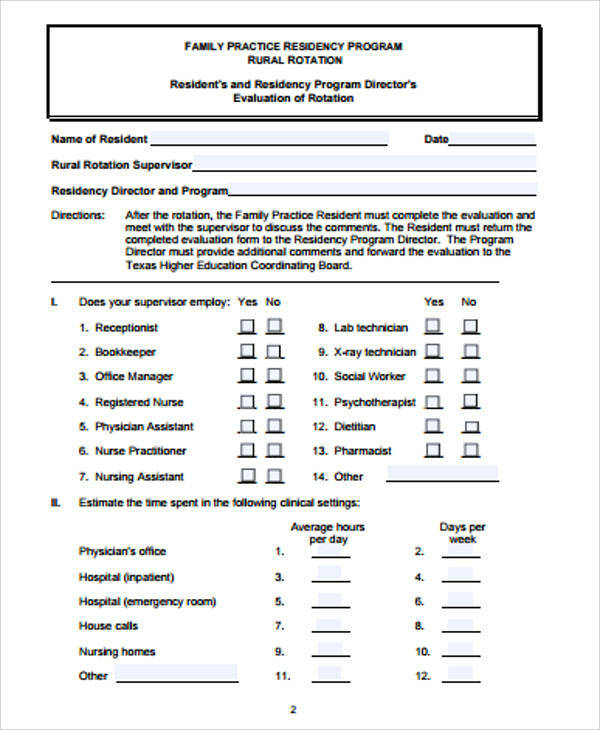 Assessments may cover educational, health, and psychological aspects of participants depending on their positions. These follow several guidelines that focus on the ability to be more productive and exploring ways to maximize productivity. Evaluations usually follow several systematic and periodic processes to assess job performance and productivity based on an organization’s objectives and established principles. 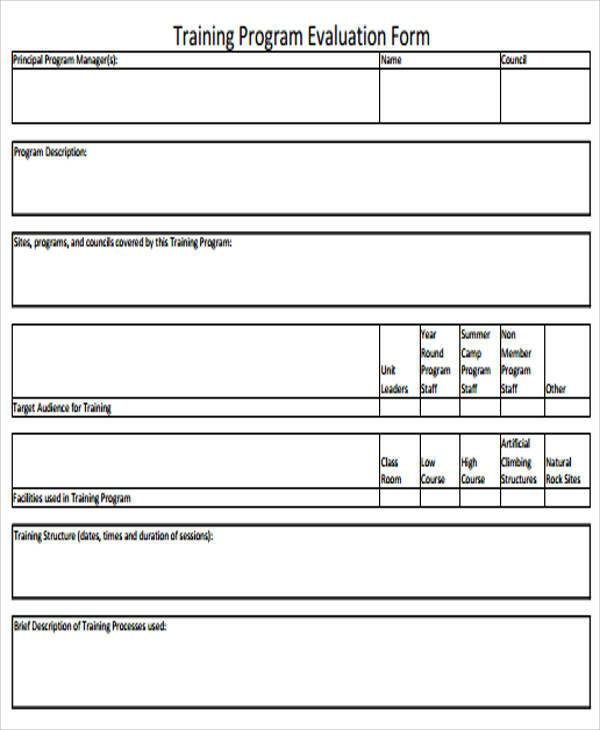 Most aspects of evaluations center on individual strengths and weaknesses as well as accomplishments and potentials for improvement. For self-evaluations, the aim is for employees to be more proactive with their individual performances that center on productivity and efficiency. This also gives the employer a perspective on how the employees view themselves as well as how they view their tasks and responsibilities. 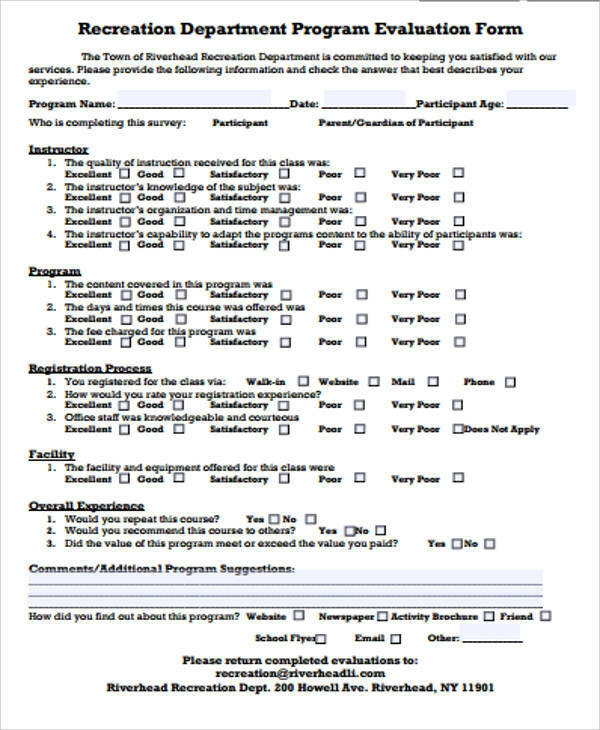 For even more examples of evaluation forms, please check out our Group Self Evaluation Forms that can be used by organizations who have programs on group self-evaluations. These samples are all free to download in both Word Doc and PDF files.